Himanshu Roy led investigations into several big cases including the 2013 IPL spot-fixing, the murder of Pallavi Purkayastha and the J Dey murder. Himanshu Roy, a senior Maharashtra police officer involved in many high-profile investigations, committed suicide by shooting himself at his home in Mumbai on Friday. He was battling cancer and had been depressed, say colleagues. The police have found a suicide note. The 1988 batch Indian Police Service (IPS) Officer allegedly shot himself using his service revolver around 1.40 pm. He was brought dead to hospital. 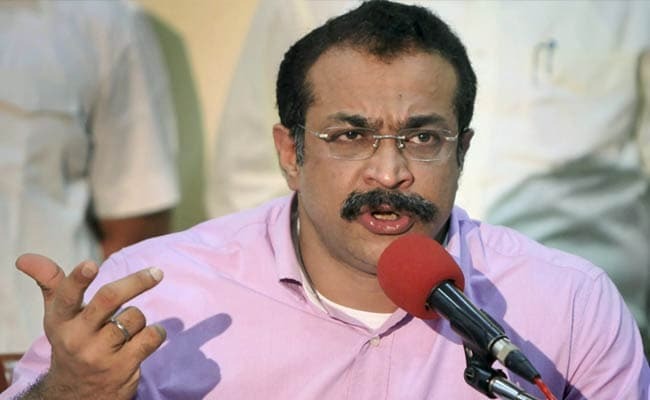 A former chief of the Anti-Terror Squad of Maharashtra, Himanshu Roy had gone on medical leave over a year ago, shortly after being posted as an additional Director General in charge of police housing. A charismatic officer and one of the best known faces in the Maharashtra police, Himanshu Roy led investigations into several big cases including the 2013 Indian Premier League spot-fixing, the 2012 murder of lawyer Pallavi Purkayastha and the J Dey murder. While he was heading the anti-terror squad, he arrested software engineer Anees Ansari for allegedly planning to blow up the American School in Mumbai. His death has stunned his colleagues. "He was a very bright officer. Such a tragedy," said MN Singh, who was his superior once. The officer, regarded as committed, sharp and popular, had seven years of service left. Lately, he had "lost weight and seemed depressed," said friends. Former Mumbai police chief Arup Patnaik said: "He was a fitness freak. He was at an advanced stage of cancer and couldn't take it anymore. It is very, very unfortunate." In 2015, Himanshu Roy was among police officers seen to be sidelined after they wrote to the Maharashtra home department alleging poor treatment by seniors and favouritism in transfers. He lost his elite posting at the anti-terror squad and was moved to an insignificant role in charge of housing. Months later, he went on medical leave. In recent months, his colleagues and journalists had heard him talk about retiring early from the police force.